Variety Cruises is offering the “Small Groups, Big Profits” program to help travel agents sell for the 2012-13 season. For group bookings of six or more cabins, agents get 20 percent commission on all applicable rates and can offer their clients one free cabin for six paying cabins, a bottle of wine and fruit basket in each stateroom, one free upgrade except from Category P to owner’s suite on Variety Voyager, and five Variety “Stars” for the booking agent. Those who book six cabins receive 10 to 20 percent reductions and/or pre- or post-cruise hotel stays for cruises booked by Jan. 31 in Greece and the Greek islands, Italy, France, Croatia, Turkey and West Africa. To take advantage of the group offer, agents must have clients make the first 25 percent deposit by Dec. 31 and full payment made by March 15. The new 36-cabin Variety Voyager will launch in the spring and will sail the “Romantic Rivieras” in Italy and France from June to September; “Treasures of South Italy & Malta” in September and October; and “Arabian Journeys” from November 2012 to April 2013. 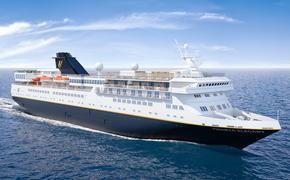 Other group discounts are available on cruises to West Africa, Greece, Turkey, the Black Sea and the Adriatic Sea. For more information, call 800-319-7776 or visit www.varietycruises.com.